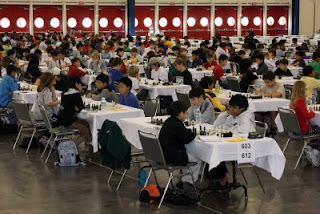 From December 27-30, the 2007 Pan American Intercollegiate Chess tournament takes place at Miami Dade College. The six-round event is open to college teams throughout North and South America, as well as the Carribean. Last year, the top two teams came from the same school. The University of Texas-Dallas (UTD) captured both first place and second place, with perennial rival University of Maryland-Baltimore County (UMBC) finishing a rather distant third. 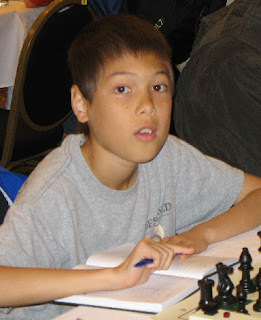 You can read about last year's event in the January 2007 and February 2007 editions of my Scholastic Chess ChessCafe column. My review of Garry Kasparov's latest book How Life Imitates Chess, is currently on the ChessCafe home page. I found it to be an intriguing combination of part autobiography and part textbook of life lessons. 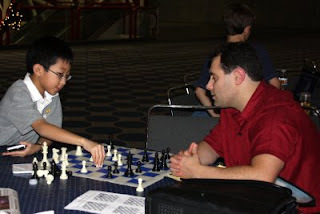 My December Scholastic Chess ChessCafe column is now online. In it, I cover the 2007 National Youth Action tournament in St. Louis and the 2007 World Youth Chess Championships in Antalya, Turkey. A number of games from these events with nice tactical shots are included. 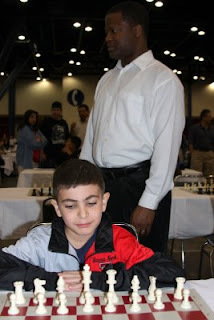 The 2007 National K-12 Championships head into the final day of the three-day event in Houston, Texas. Click on "Pairings and Results" here for updated information. I don't yet have the final number of players in the tournament, but over 1300 sent in advance entries. Ray Robson is 4-0 at UTD GM Invitational! The pairings haven't been easy - he's faced two IMs and two GMs, but after four rounds, FM Ray Robson stands at a perfect 4-0 at the UTD GM Invitational. The best place to follow the results are at MonRoi. 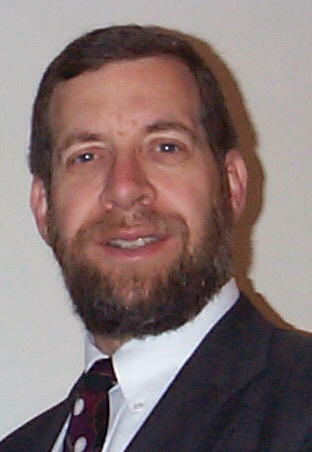 The University of Texas-Dallas page can be found here, but they seem slow in updating the results. Coverage is supposed to also be available at the Internet Chess Club, but if so, it's not easily accessible - I haven't found it yet. I think the "FM" in front of Ray's name stands for "Fearless Master." The University of Texas-Dallas (UTD) again holds its annual Grandmaster Invitational Tournament, with the first of 11 rounds beginning today, at 5:30 PM Central time. Four GMs are entered, and other players include IM Sal Bercys and FM Ray Robson. 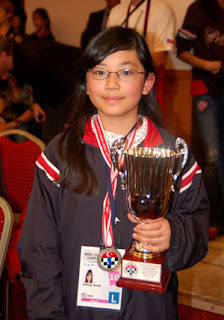 More information is available at the UTD Grandmaster Invitational page, and you can follow the tournament's progress at the Internet Chess Club or at MonRoi. 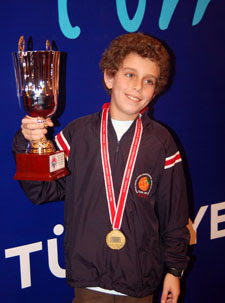 Daniel Naroditsky won a gold medal at the 2007 World Youth Chess Championships in Antalya, Turkey, and Sarah Chiang won silver. 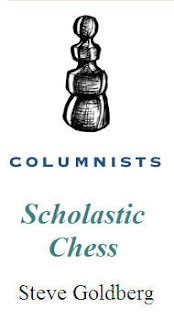 Next week you can read about it in my December Scholastic Chess column at ChessCafe.